Downtown Dundee is becoming an increasingly enjoyable place to spend time. 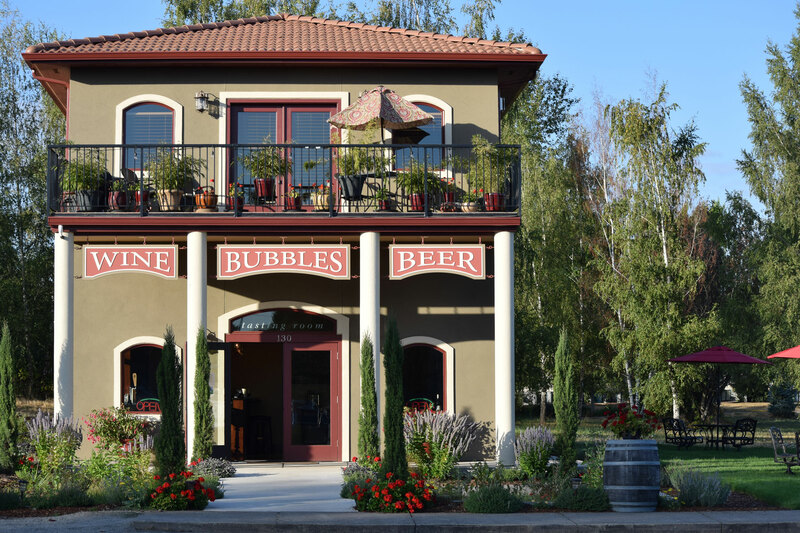 The new bypass helped cut down on traffic through town, allowing for the ability to cross between the tasting rooms that line both sides of the highway. New tasting rooms and restaurants pop up in Dundee regularly, and some of Oregon's most acclaimed wineries are located both downtown and in the nearby Dundee Hills. The wineries on this tasting itinerary are all located in the downtown Dundee corridor. 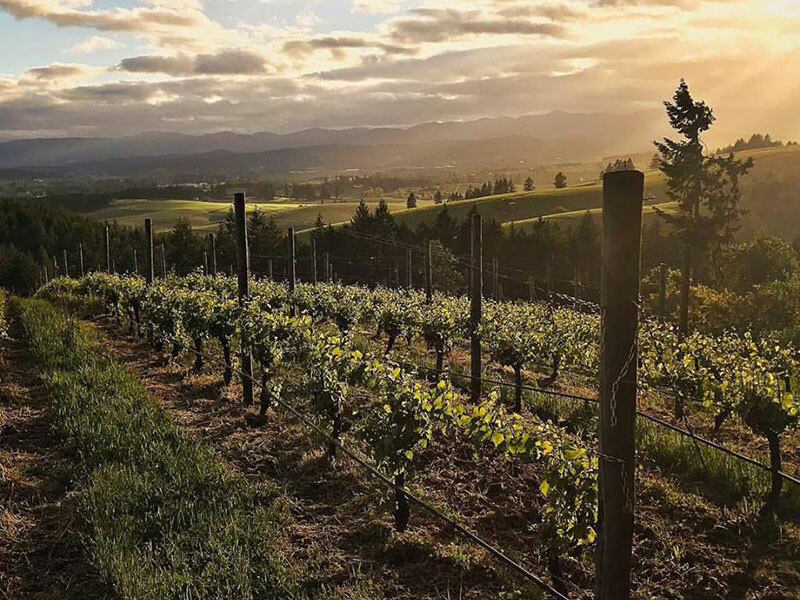 Start at the south end of Dundee with a tasting at Hyland Estates, and work your way north with stops at Angela Estate, Dobbes Family Estate and Methven Family Vineyards. 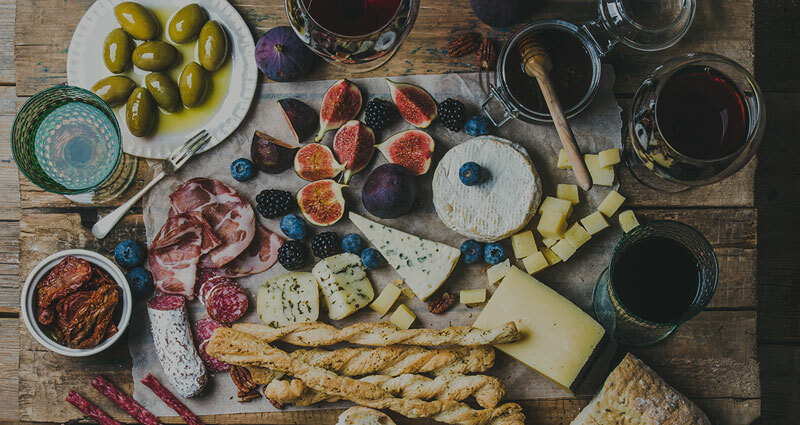 This is a tour of the best that downtown Dundee has to offer, and WineryHunt club members enjoy waived tastings and 10% discounts in this region during December 2019. 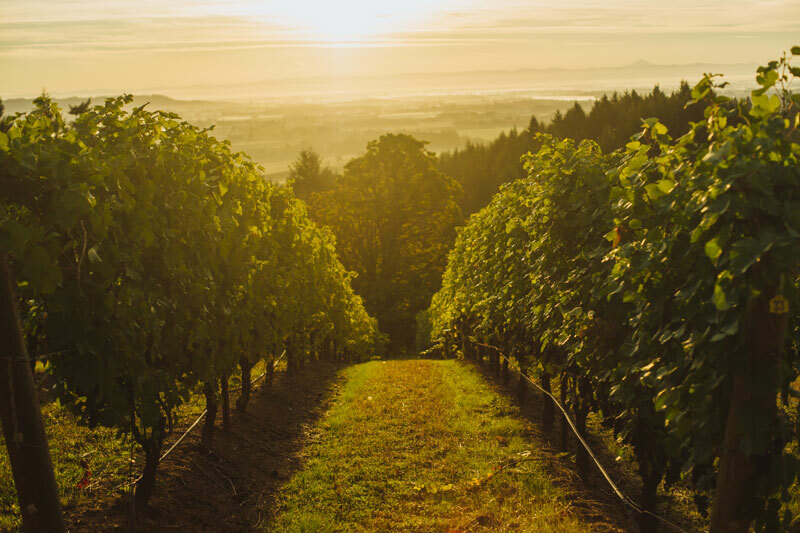 WineryHunt Oregon Club Members enjoy waived wine tastings and 10% discounts at the following Dundee wineries in December 2019! 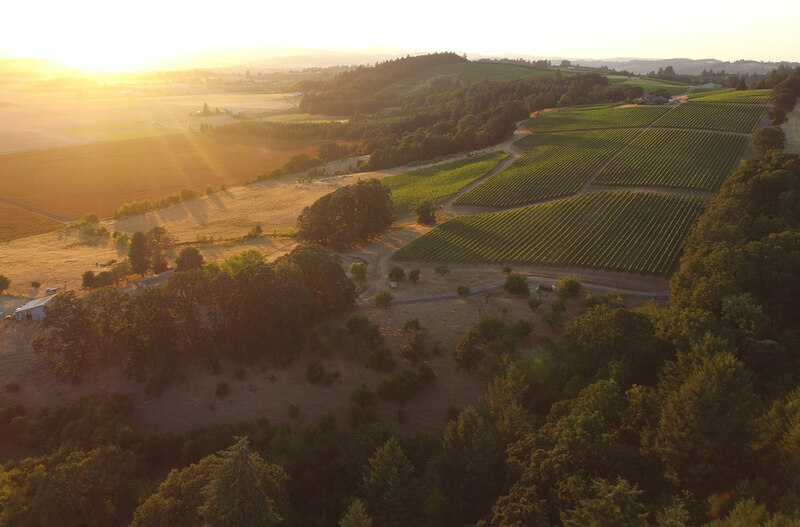 First planted in 1971, Hyland Vineyard is one of Oregon’s oldest and largest vineyards, spanning over 200 acres in the McMinnville AVA. 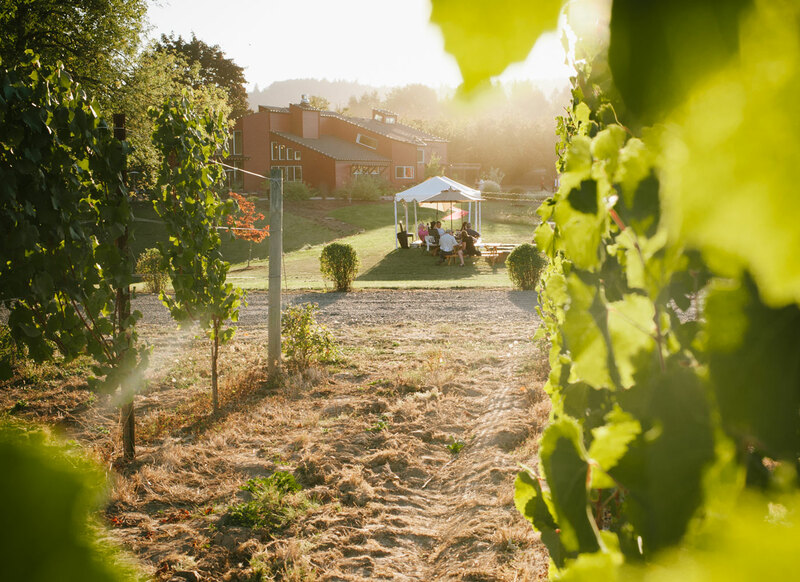 The historic Hyland Vineyard lies nestled in the foothills of the Oregon Coast Range near McMinnville, Oregon. 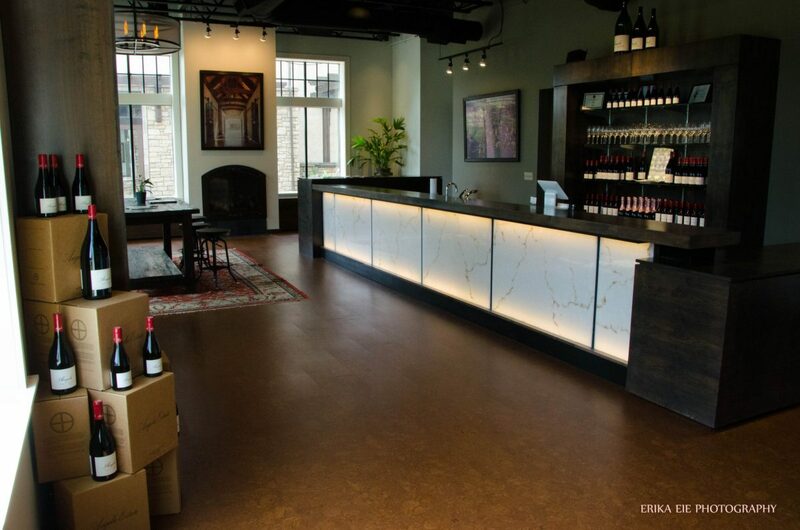 The Hyland Estates tasting room is located at the western edge of Dundee. Hyland Estates showcases wines crafted exclusively from Hyland Vineyard grapes, including Pinot Noir, Riesling, Chardonnay, and Gewürztraminer. Thanks to the age of the vineyard, the wines are from old, established vines, resulting in memorable, complex Pinot noir.Wine tasters often rave about the atmosphere in and around the Hyland tasting room, including the fireplace, private tasting spaces, patio and landscaping. 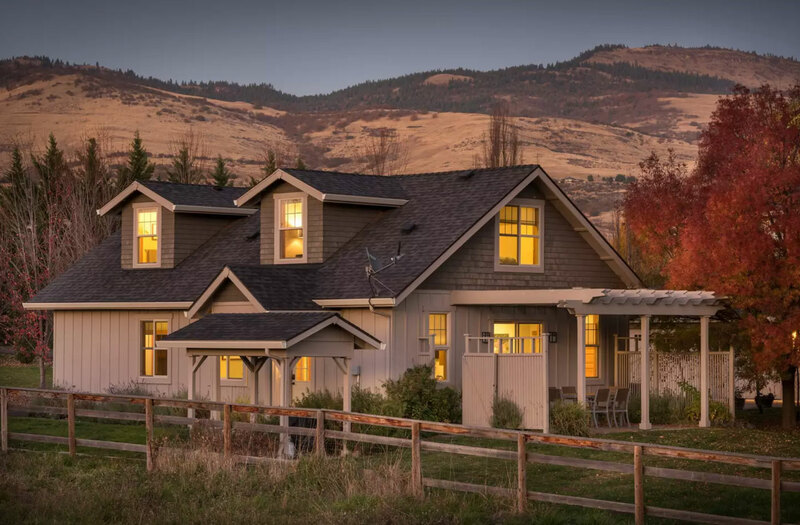 Angela Estate is a family winery in Oregon with an international pedigree. The winery is a collaboration of owners Antony & Angela Beck and winemakers Ken Wright and Alban Debeaulieu. 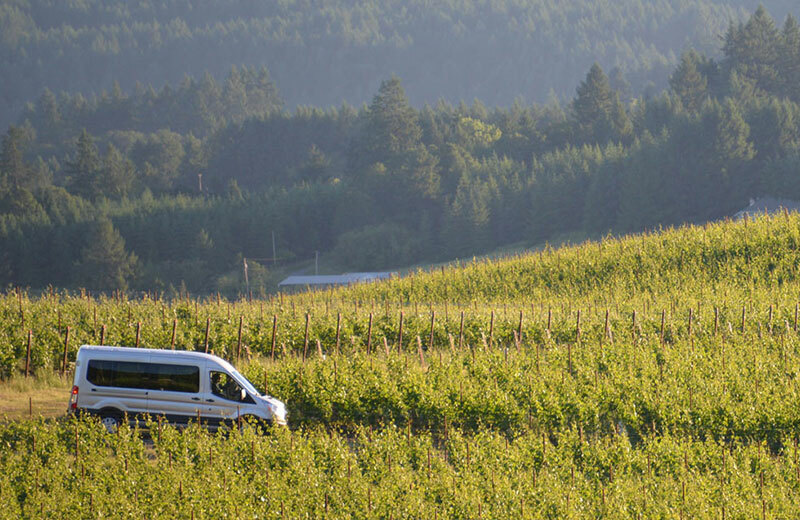 The focus is on creating premium single-vineyard Pinot Noirs from their estate in the nearby Yamhill-Carlton AVA. The beautiful tasting room is located next to Babica Hen Cafe' at the southern end of Dundee. Over the years the wines have achieved critical acclaim, with several Pinot Noir bottlings receiving 94 Points and above in Wine Enthusiast Magazine. Dobbes Family Estate is an urban winery making award-winning wines of distinction in downtown Dundee. Unlike the other wineries on this itinerary, the wines themselves are made on the same downtown Dundee property as the tasting room. 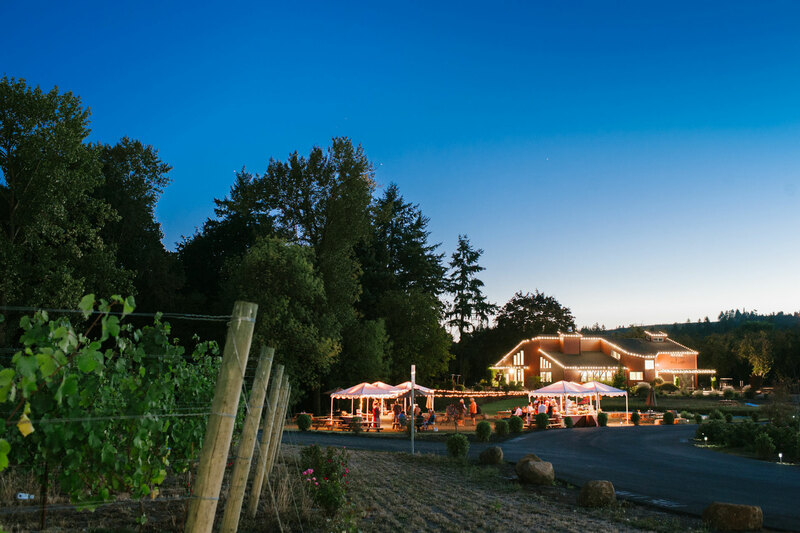 Visitors will be greeted by the friendly and knowledgable staff and led through a full portfolio of Oregon wines sourced from eight vineyards in the Willamette Valley and Rogue Valley. Dobbes is open until 6pm daily. Owners Allen and Jill Methven share a passion for Oregon Pinot Noir. That's why they decided to purchase 100 acres in the Eola Hills in 2001 and planted 32 acres of Pinot Noir, Pinot Gris, Riesling, Gamay and Chardonnay. The Winery and tasting room was built in the summer of 2007 and finished just in time for harvest. In 2016 the Methven family built a gathering place and tasting room in downtown Dundee. Located near the Dundee Bistro and Red Hills market this space features flights, glass pours, bubbles, and beer. 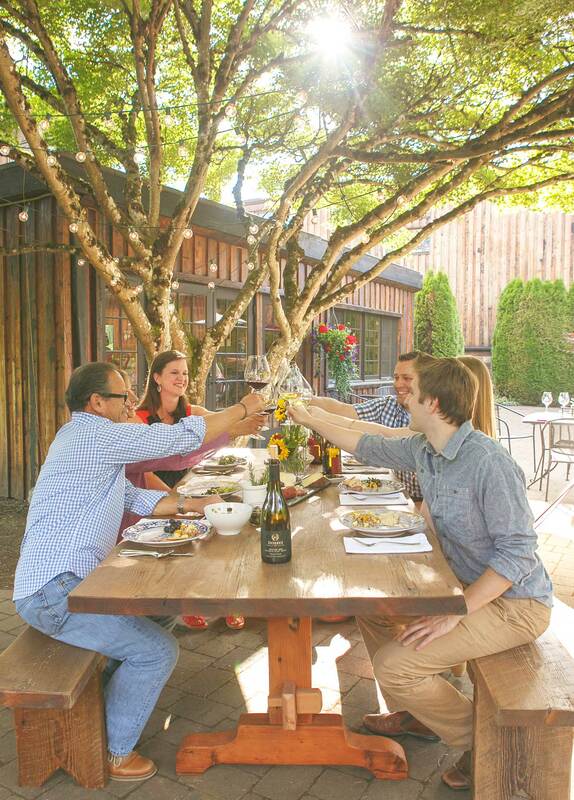 Methven Family Dundee tasting room is open 12-8pm daily and welcomes guest to bring a picnic or just come relax.